The Australian Workers Union (AWU) has written to Prime Minister Malcolm Turnbull saying multinationals should be forced to renegotiate the contracts that currently allow unrestricted gas exports. 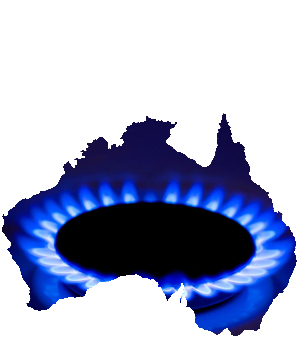 The union wants to ensure that a portion of Australia's natural gas is held aside for domestic use. AWU national secretary Daniel Walton says if big companies continue to enjoy unrestricted exports of Australian gas, prices will continue to rise, businesses will close and jobs will be destroyed. “Australia finds itself in the bizarre situation where despite producing a record amount of gas, we are paying some of the world's highest prices at home,” Mr Walton wrote in the letter to Mr Turnbull. Mr Walton said companies like Woodside, Chevron and AGL were conducting “high farce” by looking to import gas in the face of escalating Australian prices. Bluescope Steel chief executive Paul O'Malley recently warned of a looming “energy catastrophe” without reliable access to gas power. Economists at BIS Shrapnel (commissioned by the AWU) have found that without affordable and reliable gas, 20 per cent of heavy manufacturers will close by 2021. This would lead to the loss of about 235,000 jobs. Mr Walton says Mr Turnbull should start a sensible and respectful renegotiation of gas export contracts. “I know there will be those that will cry ‘sovereign risk’ and claim that we must retain the exploitative and destructive contracts that have been signed,” Mr Walton said in the letter. BIS Shrapnel says companies are already delaying new investments in Australia due to concerns about energy security. The economists cited the case of Incetic Pivot, which moved plans to build a US$850 million ammonia plant in the United States rather than Australia due to the energy concerns. The Ai Group has separately warned that rising energy prices are exposing businesses to heightened risks. “Business and households are going to see severe increases in their costs. Wholesale electricity prices are roughly doubling. Wholesale gas prices are at least doubling and may well rise much further. Spot prices are becoming more volatile,” Ai Group chief Innes Willox said.